The story of the mubobobo fears at Mataruse Primary School in Gutu recently took a new twist after a committee comprising teachers and members of the local community was formed and tasked to visit a number of traditional witchdoctors in a quest to unravel the culprit. 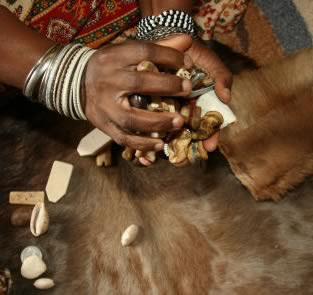 Sources close to the school told TellZim News that the committee visited several traditional witchdoctors both in Gutu and Buhera districts. The school lies close to the Nyazvidzi River which forms the border between the two districts. They said they were still waiting for a second opinion from faith healers or other capable individuals although the culprit had already been identified and had been approached with a view to settle the issue once and for all. Mataruse Primary was in the news last year after a number of lady teachers at the school said they were experiencing unusual sexual activity while in deep slumber. The teachers said while they went to bed dressed they woke up in the morning to find that they had been undressed with evidence that they had been intimate with someone during the night. Most of them had threatened that they wanted to transfer from the school while some of them had already left the school. The same complaints had been raised by villagers in surrounding villages who said they were going through the same experiences. The experiences had in some instances resulted in stillbirths where pregnant women were concerned, the complainants said.